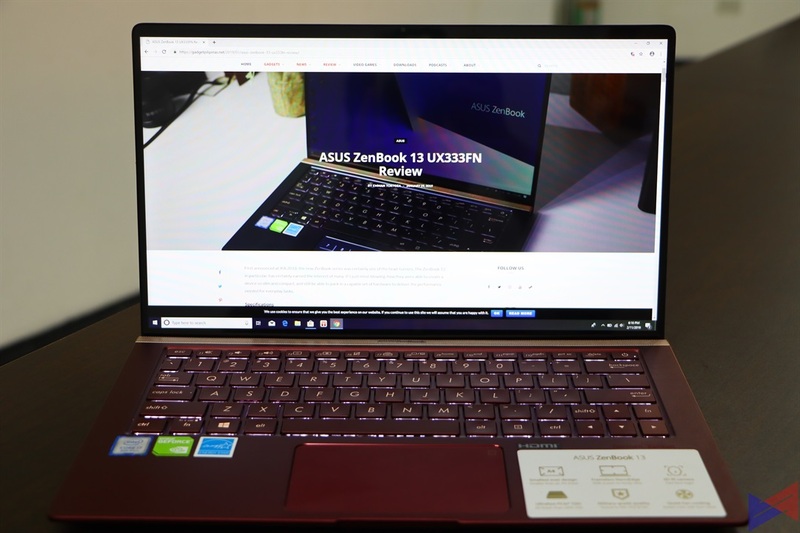 We’ve recently posted our detailed review of the ASUS ZenBook 13 UX33FN, and we’re impressed with how a product can be so elegant, compact and eye-candy, and at the same time, perform well not just for typical productivity tasks, but also for more resource intensive ones, such as video editing. 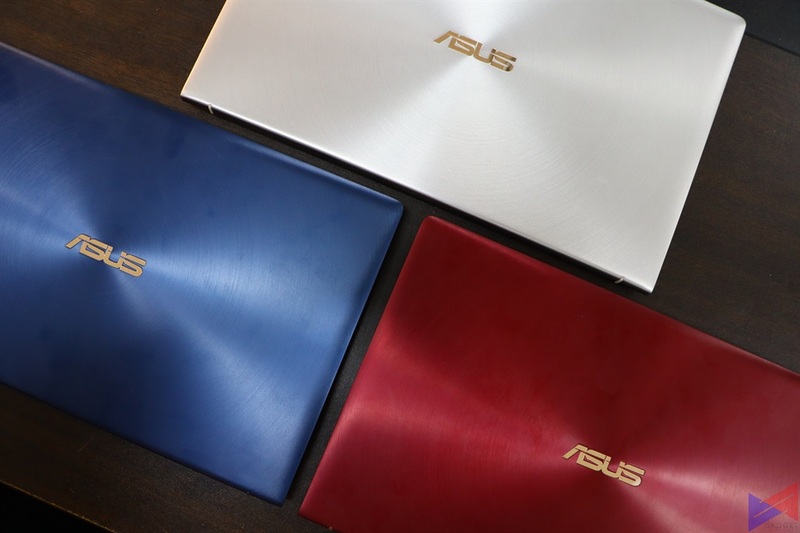 Now, ASUS has announced a new color option for this well-rounded gadget, just in time for Valentine’s day. 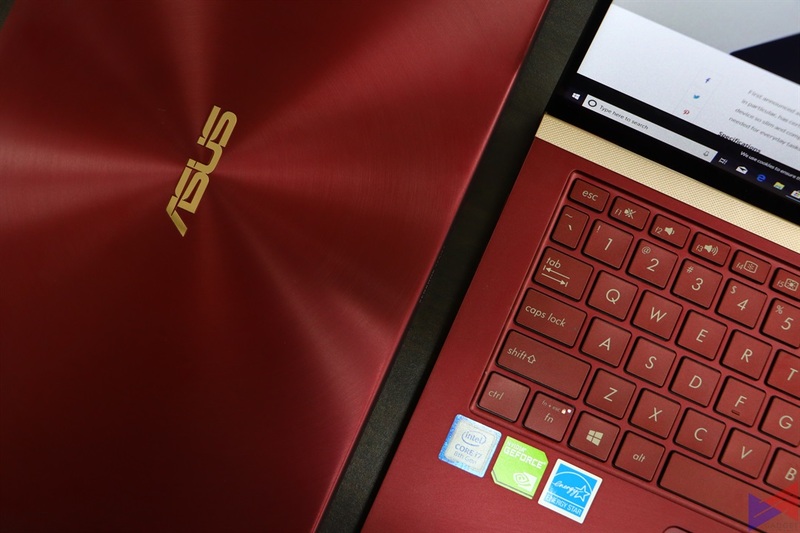 Now, customers can experience the portability, features, and performance of the new ZenBook 13 in sweet, luscious Burgundy Red. The Burgundy Red cover really does stand out from the rest, exhibiting a sense of luxury and elegance. It’s well-built, despite a body that’s mostly made of plastic. There’s no sign of poor craftsmanship or engineering. The 13.3-inch display has Full HD display utilizes extremely thin bezels, giving you as much real estate as possible. What’s more interesting is ASUS was able to fit an IR cam in that small bezel, for authentication purposes. 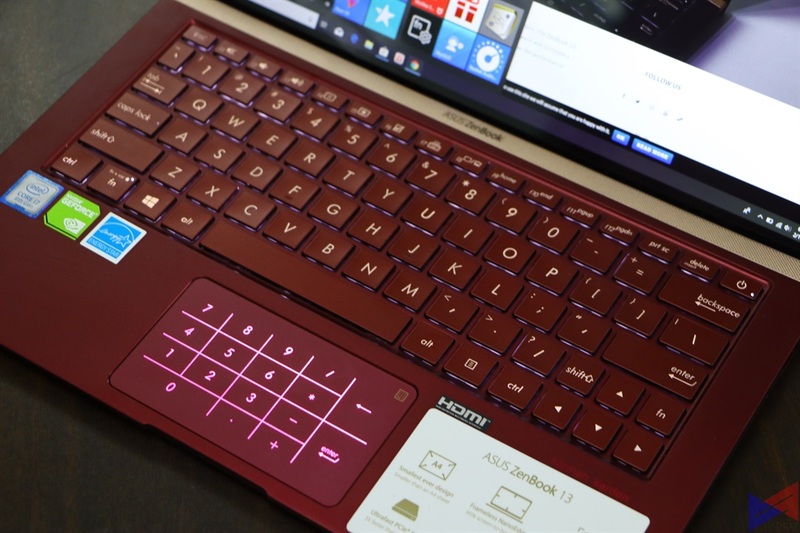 The backlit keyboard compliments the notebook’s red body very well. 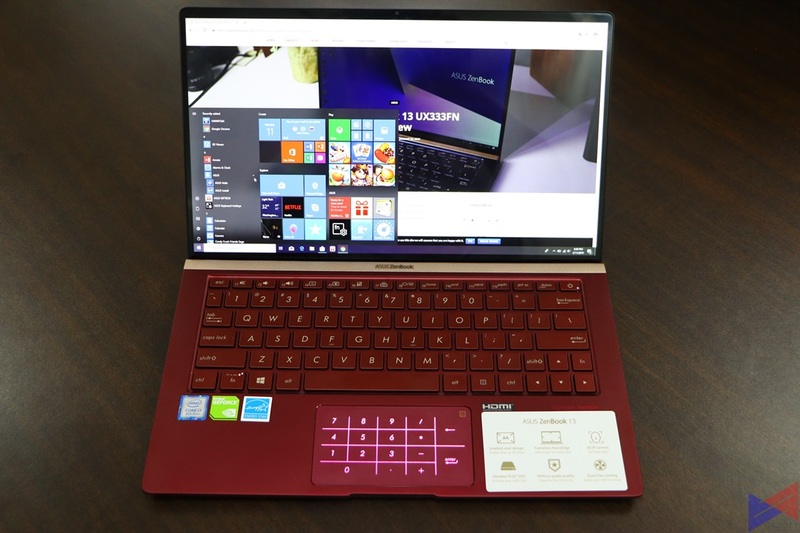 Lke the other new ZenBooks, this one uses the ErgoLift hinge mechanism to slightly raise the keyboard, which makes it comfortable to type on, even for someone with big hands. Some keys had to be made smaller to fit in the available space, which at times makes them harder to find without looking. 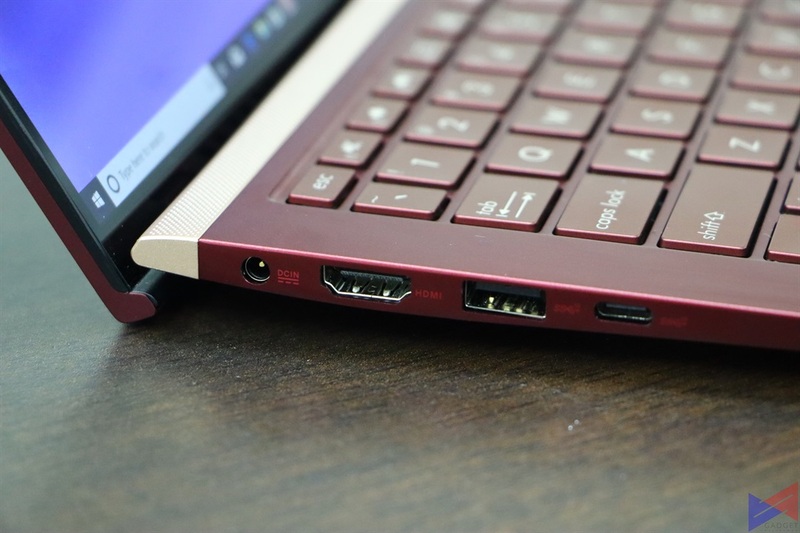 As far as ports are concerned you get a total of two USB 3.1 ports, one of which is Type-C, a USB 2.0 port, an HDMI port for connecting the notebook to an external monitor, a microSD card reader, and an audio jack. I know, that’s not a lot of ports to play with if you have a lot of external devices, but considering how compact this notebook is, well, I do think it’s acceptable. 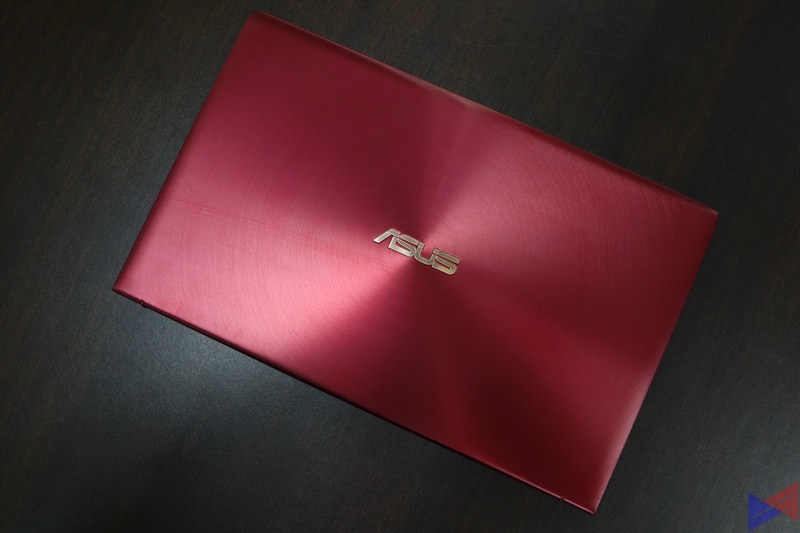 If you’re looking for the ideal combination of portability, premium looks, and performance, not to mention a classy and eye-candy color, the ZenBook 13 Burgundy Red should land somewhere in that list of yours. 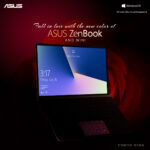 The ASUS ZenBook 13 is priced at PhP66,995 and will be available in all ASUS concept stores and authorized retailers by March, 2019. For our complete review, click here.